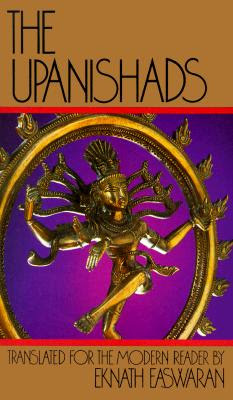 The structure of the Prashna Upanishad is quite simple: six illustrious seekers approach the sage Pippalada one buy one and ask him a basic question about Reality. ... But the questions probe progressively deeper into the practical mysteries of human existence. Prashna, "question", is cognate with the modern German word for question, Frage, as well as with the German for research, Forschung. The two paths in the cycle of time go back to the Rig Veda. One way of looking at this, for purposes of our Upanishad, is that the moon shines by reflected light (as the intellect, in Indian philosophy, is said to shine by the reflected light of the Self); thus those who die without having realized the Self are in a state of reflected reality, while those who have realized the Self merge in Reality when the body is shed. The individual with the "fires" of prana burning within is compared to a home with its sacred hearth-fire at the center (and, in the original, with the more common image of a city) whose sacrificial altars are active when the rest sleep. Strkingly, the mind is said to perform the life-sacrifice, or to command it: yajaman is the patron who pays the priests to sacrifice in his behalf. The final sacrifice, Easwaran comments, is that the mind "throws itself onto the fire" (i.e. is stilled, restored into prana), so that "what begins with purified butter is carried on with a purified mind." Water, earth, speech, mind, vision, and hearing. Over them all, saidm 'Don't deceive yourselves. 4. "But they would not believe these words of prana. Returned to the body, they too were back. "Master, from what source does this prana come? How leave the body at the time of death? And all that is within?" 2. The sage replied: "You ask searching questions. Seeking Brahman, I shall answer them. So that the mind's desires may be fulfilled. Selfless and slefish come back to this earth. To be reborn in the plane we have earned. That sleeps with him? Who sees the dreams he sees? When he wakes up, who in him is awake? When he enjoys, who is enjoying? In whom do all these faculties rest?" In the mind, which is master of them all. Tastes, touches, speaks, nor enjoys, we say he sleeps. 5. "The dreaming mind recalls past impressions. What has been enjoyed in many places. The mind sees all; the mind sees all. It brings rest and repose to the body. All things in life find their rest in the Self.